The infrastructure challenges in the US are only magnified in California. Municipal budgets are strained, and aging roads and water systems both need repair. In the case of this project in Healdsburg, CA, the crew is repairing a water line faster, more easily and with lower overhead. The crew first digs localized holes in the road surface. Then, instead of digging a trench across the road, they excavate these smaller utility cuts using hydro excavation equipment. They locate the problem area, which is a pinhole leak in a crimped water line. Without tearing up the entire road, they’re able to pull a new line through the excavation using a cable. The potential challenge lies in hitting a coupling, which can require digging another hole. Once the water line is replaced, the crew backfills the excavation. Then, the road surface is patched using EZ Street cold asphalt. 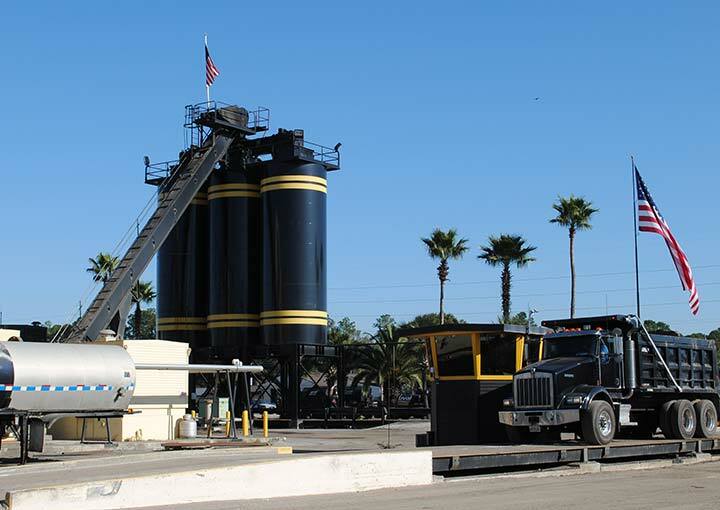 The EZ Street product has been onsite and ready to work the entire time—with none of the ticking-clock factor of hot asphalt. This method of repairing and replacing water lines is faster and more efficient, and the EZ Street product only makes it more so. Less time to deploy, minimal crew to install, and maximizes the use of tax dollars spent on the project. 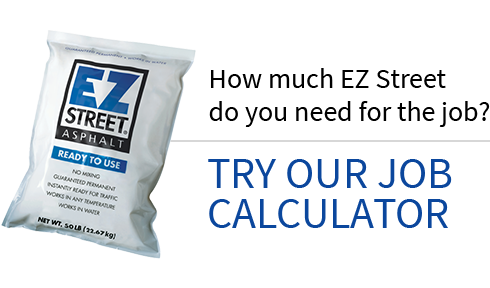 EZ Street cold asphalt is a do-it-once-do-it-quick-and-walk-away product with a lifetime guarantee. EZ Street cold asphalt: showing potholes who’s boss. That’s because EZ Street cold asphalt with RAP has a shelf life of one year, and can be used in virtually any weather—including rain. It can even be used in utility cuts filled with water. The EZ Street product is ready to work when your crew is. It eliminates the need to wait around for hot mix—especially valuable for a public works department that doesn’t have an asphalt plant nearby. And the EZ Street products can be used quickly with minimal crew members, saving time and money. Since the product is cold, there is none of the time-sensitivity for using it. Only the required amount is shoveled off the truck. Fewer crew members means lower labor costs. Less equipment means less fuel used. Using EZ Street cold asphalt with RAP is an all-around win-win for both the budget and the environment.